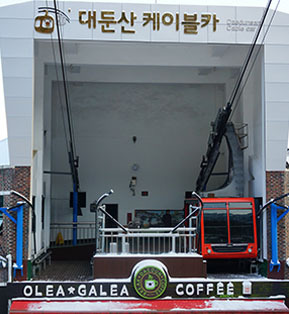 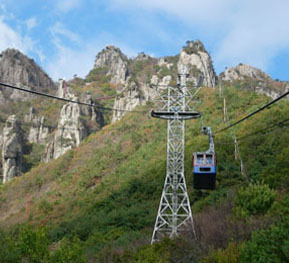 Daedungsan Cable Car operates two cable cars that run alternately along 927-m rail angled at 23 degrees. 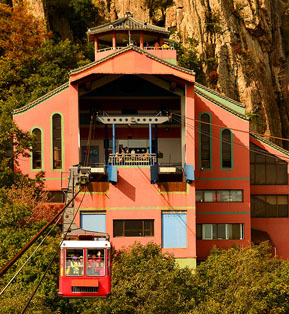 Each car transports up to 50 passengers to the upper station in about five minutes. 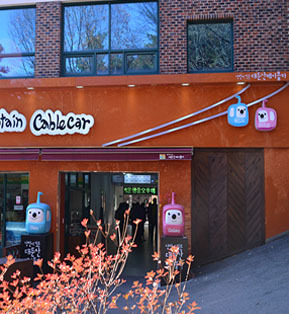 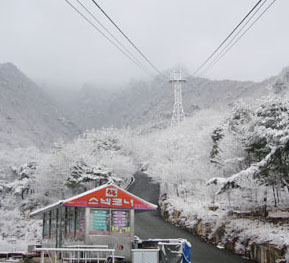 Come and enjoy an exciting mountain hiking with your families, friends and lovers with Daedunsan Cable Car! 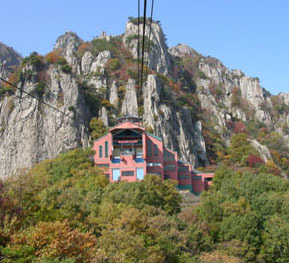 It is one of the most famous bridges in Daedunsan Mountain. 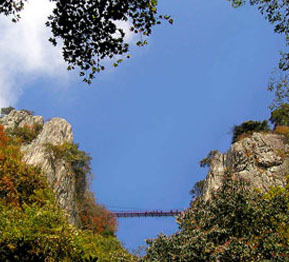 It is approximately 81m above the bottom of the chasm, 50m long and 1.2m wide. 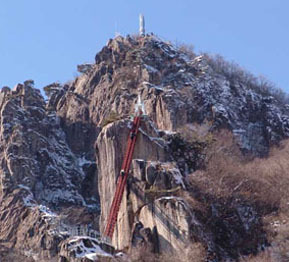 Made in steel, it was built in September 27, 1985. 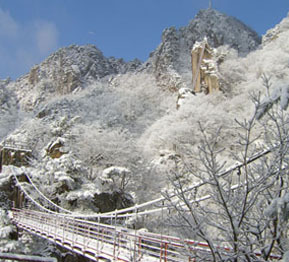 It is the country’s first and longest suspension bridge connecting Imgeumbawi Rock and Ipseokdae Rock. 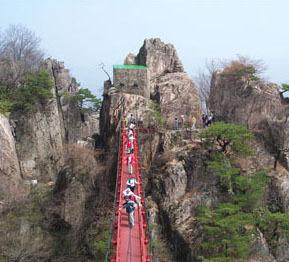 This bridges leads you to Samseonbawi Rock located on the upper point from Geumgang Gureum Bridge. 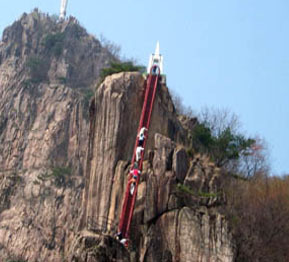 This 127-step ladder bridge is 36m long and stands at an angle of around 51 degrees. 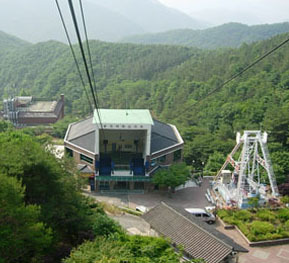 Built in September 27, 1985, it offers the most breathtaking view of Daedunsan Mountain. 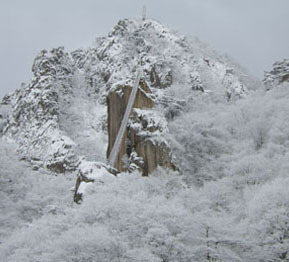 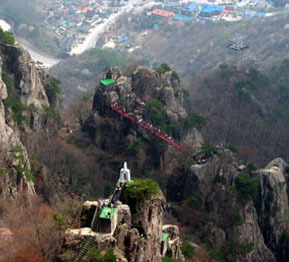 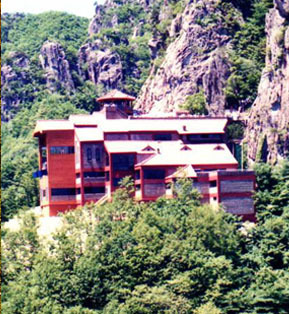 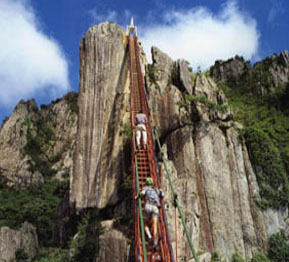 You can climb the fantastic rocks and cliffs as excellent as Geumgangsan Mountain while walking across the bridge.